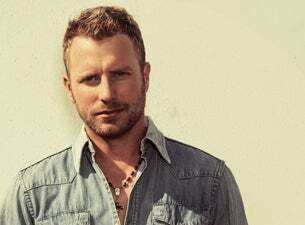 Dierks Bentley performed to a capacity crowd before the All-Star Race in Concord, NC on Saturday. The crowd trickled in all day long to get the best lawn location since every race ticket was also a concert ticket. The stage was nestled in the infield of the Charlotte Motor Speedway between turns 1 and 2. The sun was beating down since it was early in the afternoon. But the fans braved the heat for a very good performance. He then closed out the performance with one of his biggest hits, “What Was I Thinking.” The crowd was really into it as Bentley strummed his acoustic guitar to the fast rhythm. After an extended performance of the song, Bentley exited the stage and left the crowd ready for some racing.